I'm sure this exists somewhere in the depths of the forum, but what the heck, I certainly can't find it. What's your favorite scene in the movie? My favorite scene is Simba running off from TImon/Pumbaa after they make fun of him for the great kings comment, having his identity crisis, and getting some sense talked into him by Rafiki. Just love the heavy themes of loss there, and the growth that happens over just a few minutes. For me, that's really the peak of his character arc. Great soundtrack, beautiful animation of the savannah at night, it all works for me. I found one on page 6. My favorite scene is the "Can You Feel the Love Tonight" musical number. 1. This one qualifies as more of scenes, I guess. Starting from the scene right after Simba and Nala's argument; all the way through Rafiki's finding Simba and his crazy chanting and dancing around (because Rafiki is obviously the best), the "Remember who you are" scene, all the way to the part where Simba finally decides to go back home and runs off with Rafiki hollering in the background. Yep. That entire part. TLK_Kid wrote: 1. This one qualifies as more of scenes, I guess. Starting from the scene right after Simba and Nala's argument; all the way through Rafiki's finding Simba and his crazy chanting and dancing around (because Rafiki is obviously the best), the "Remember who you are" scene, all the way to the part where Simba finally decides to go back home and runs off with Rafiki hollering in the background. Yep. That entire part. Hey that's pretty much mine! @TLP six pages back... I'm cool with it. The whole stampede scene in the Gorge. The music slowly swelling up as Simba notices the Gazelles. It was so epic that it kinda dwarfs the actual climax IMO. TheLionPrince wrote: Wildebeest, you mean. Since TheLionPrince was kind enough to track down the original thread. I will just quote what I sad there because my options have not changed. Can You Feel The Love Tonight: That Scene captured the moment perfectly. The Battle For Pride Rock: As others have said simply Epic. Way back in the summer of 2009, when my family and I were spending a week long vacation near Yellowstone , I was trying to search for a song from Command and Conquer: Tiberian Sun, using the terrible wifi of the campground. 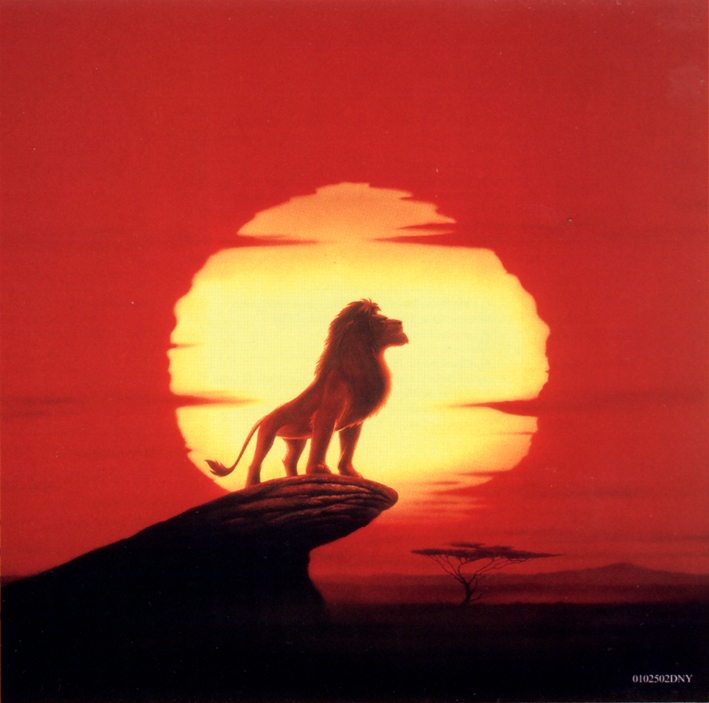 While waiting for the minutes-long buffer download (for a two minute long song), I noticed that the laptop I was using, a family member`s, had a lion king song on it - King of Pride Rock from the original soundtrack. Noticing it, I put it on, and really liked what I had heard, for at that point it had been years since I had last seen the movie. While the music was familiar, it was also very new at the same time, allowing me to focus on the music much more than when I am watching the movie. This also reminded me how for years and years before that, I would very on-and-off search for a very specific part of what I knew was also from The Lion King's sountrack - it was later at this same trip that I figured out that it was the ending portion of "Under the Stars". But in oder to get to the end of the song, I obviously had to listen to the rest of it first. 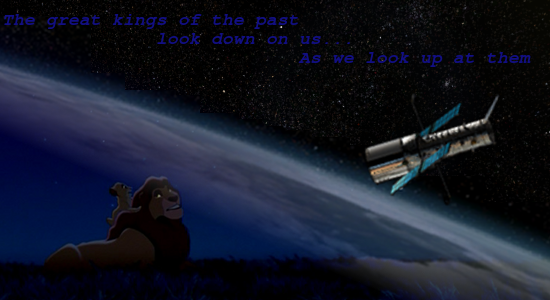 Little did I know that this was how I eventually got into the Lion King fandom - through the music, and "Under the Stars" especially. So is it of little wonder that my favorite part of the movie is when that music plays? Okay, the way Rafiki sings Asante sana squash banana is really awesome too. Call it ASMR or something if you want, but I can listen to that chanting all day.